Ashton Under Lyne, Altrincham, Bury, Bolton, Buxton, Chester, Glossop, Halifax, Huddersifeld, Manchester, Macclesfield, Newton New Mills, Northwich, Oldham, Rochdale, Salford, Stockport, Tameside, Trafford, Warrington, Wigan, etc. 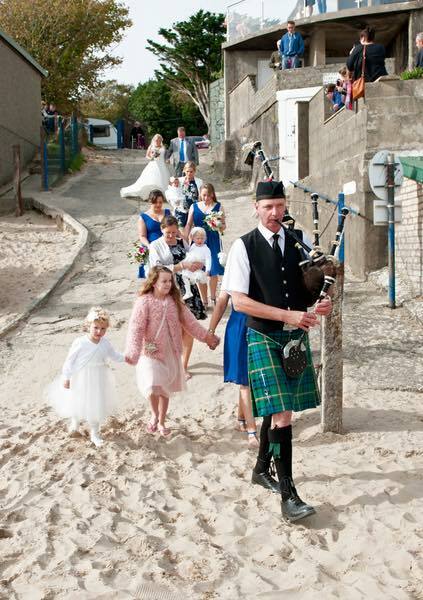 Stephen began learning the bagpipes at the age of twelve. He was taught at the Scots Guards Association in Manchester by Bob Lyle who was Pipe Major of the band for a number of years. Steve played with the band for two years and then moved on to form the Wythenshawe Pipe Band with a number of other players. This was the first time he had played in competitions with a band and as a solo piper. 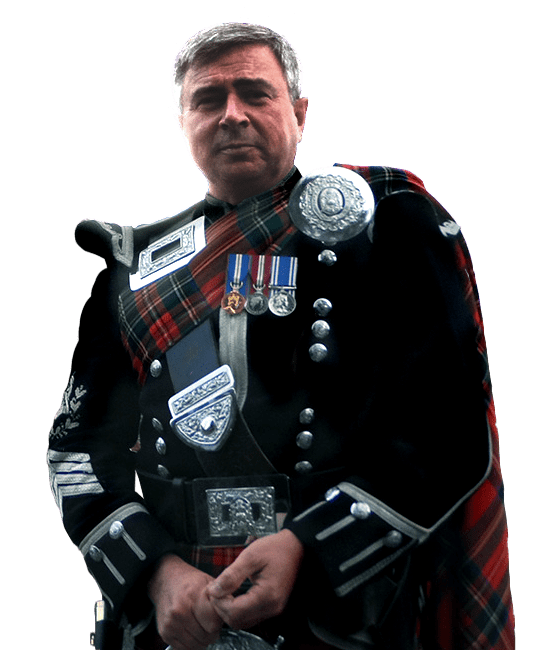 Steve then moved on and joined The Phoenix Pipe Band in which he played with for twenty years, in which time the band went from grade 4 up into grade 2 also competing in grade 1 (highest grade). 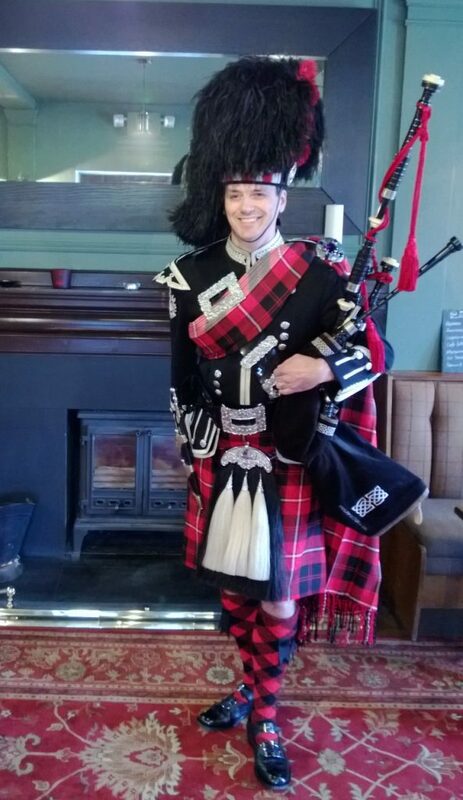 Steve then joined the Greater Manchester Fire and Rescue Pipe Band as Pipe Sergeant. 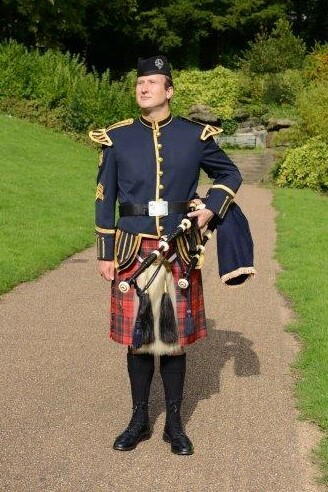 In 2006 he rejoined the Manchester Phoenix Pipe Band who are now a Grade 3b pipe band. Steve is currently Pipe Sergeant of the band. He regularly plays in solo piping contests and has won a number of trophies. Steve can be available to play in most areas of the north west of England, he's played at hundreds of weddings, funerals, parties, Burns nights, New Year’s Eve event, plus many other functions including television and radio.